One of the best parts about a city like New York is the endless number of options. You could eat breakfast, lunch, and dinner at a different restaurant every day and still never make your way through every spot in a year. And while other cities may be just catching on to the juice trend, New York has been on it for years. Juicers are hooking us up with fresh-pressed juice in NYC and beyond — these are the ones you have to try. Pure Green founder Ross Franklin wants you to detox your body and recharge your life with his smoothies, juices, shots, and smoothie bowls. Well, that’s pretty easy given how delicious they are. Pure Green, popping up all over the city, whips up smoothies that are made to order and can be made with whey or vegan protein. As for the juices, all the ingredients are right on the front of each bottle. No guesswork here. 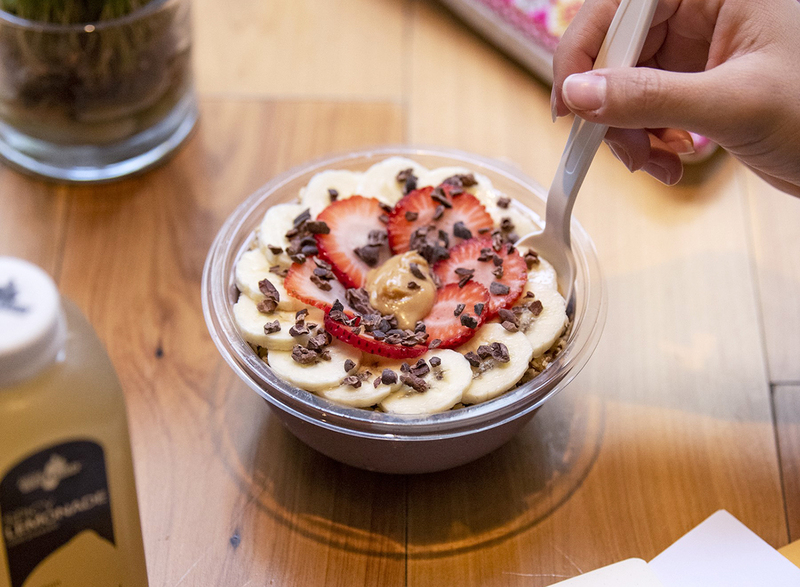 Come for the juice and smoothies, stay for the cool story. 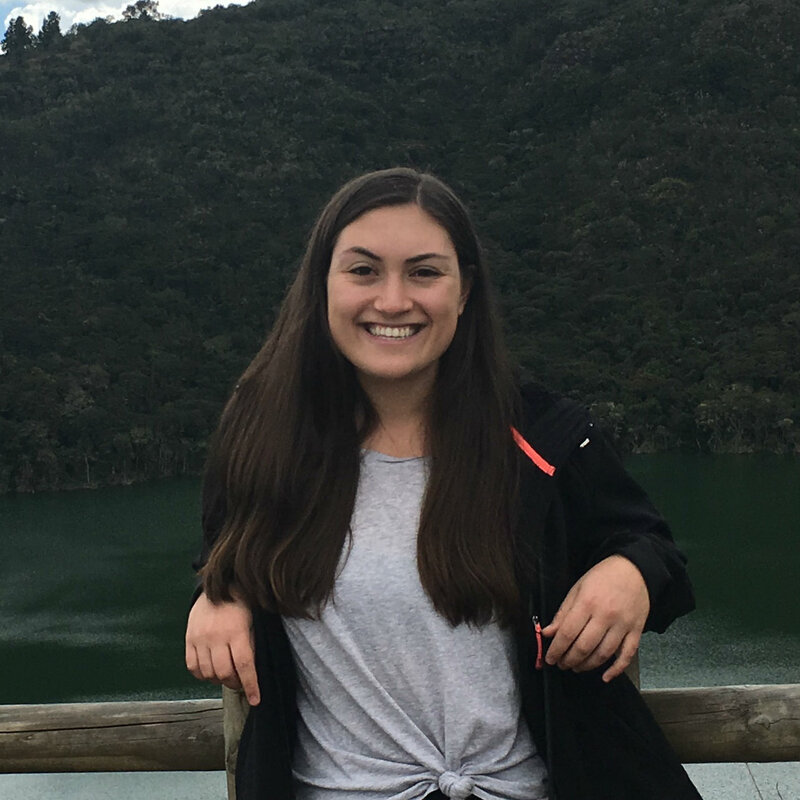 Founder Jil Larsen started juicing after being diagnosed with melasma (a skin pigmentation problem) and found doses of liquid nourishment improved her skin condition and quality of life. 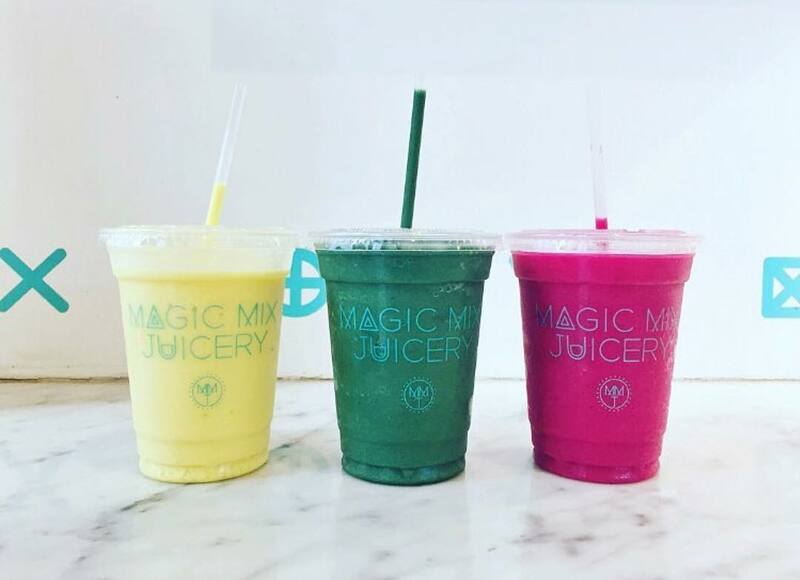 She wanted to share the wealth and make healthy eating easier, so she started Magic Mix Juicery down in FiDi. Everything is gluten-free, raw, vegan, and kosher. Pretty impressive. 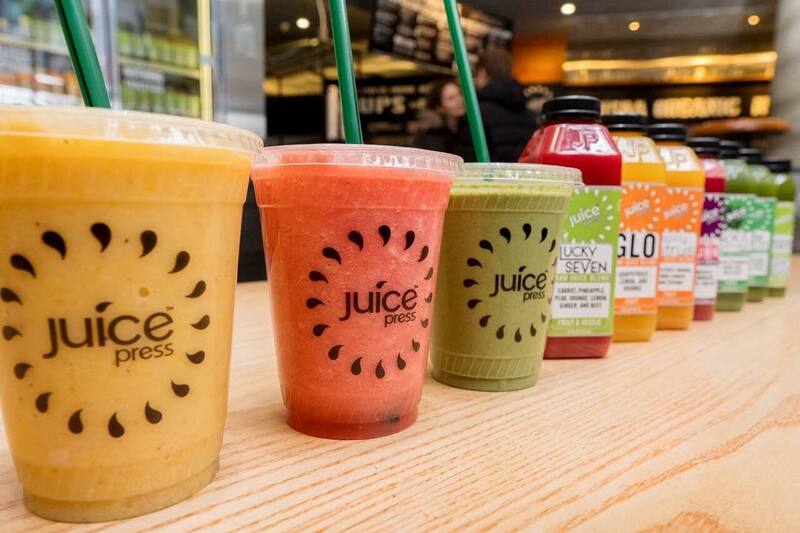 Another quick-service spot, Juice Generation has nearly 20 locations in the city, Brooklyn, Long Island, and Westchester. Want to surprise your taste buds? Their juices and smoothies are made with ingredients you probably wouldn’t think to throw in your blender at home, like Swiss chard and yerba mate. If you’re feeling a cold coming on, their Defender shot is worth trying to knock it out. Fair warning: it’s not the best thing you’ve ever tasted, but is any shot? Liquiteria is the OG Manhattan juice spot — they’ve been open in the East Village since 1996, way before cold-pressed juice became trendy. Now, there are five locations spread out downtown and one in Grand Central. They’ve got smoothies, juice cleanses, and killer acai bowls, like the Mean Green Acai made with acai, spirulina, almond milk, and apple cider. If you’re new to cleansing, you can talk to a Cleanse Coach or Ambassador to help you through it. 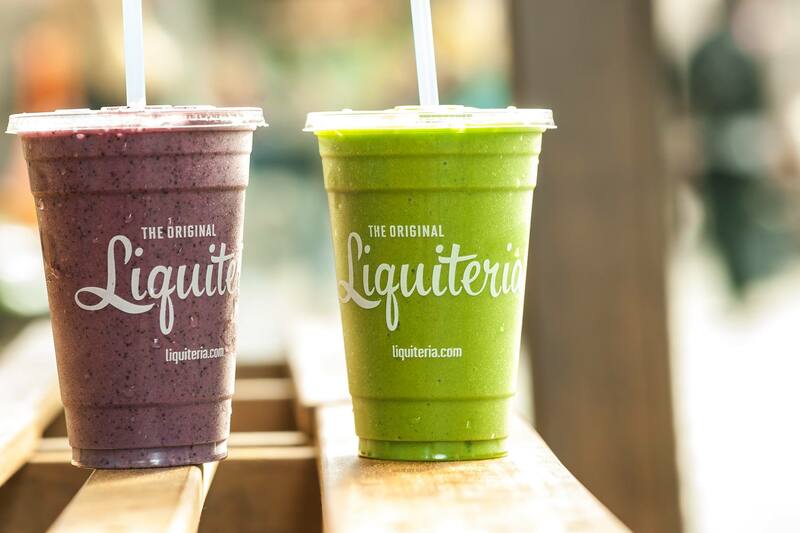 Liquiteria is the OG Manhattan juice spot — they’ve been open in the East Village since 1996, way before cold-pressed juice became trendy. Now, there are three locations spread out downtown and two near Grand Central (one is next to the terminal, in case you’re catching a train). They’ve got smoothies, juice cleanses, and killer acai bowls, like the Mean Green Acai made with acai, spirulina, almond milk, and apple cider. If you’re new to cleansing, you can talk to a Cleanse Coach or Ambassador to help you through it. by CHLOE. is a dope spot for vegans and healthy eaters. 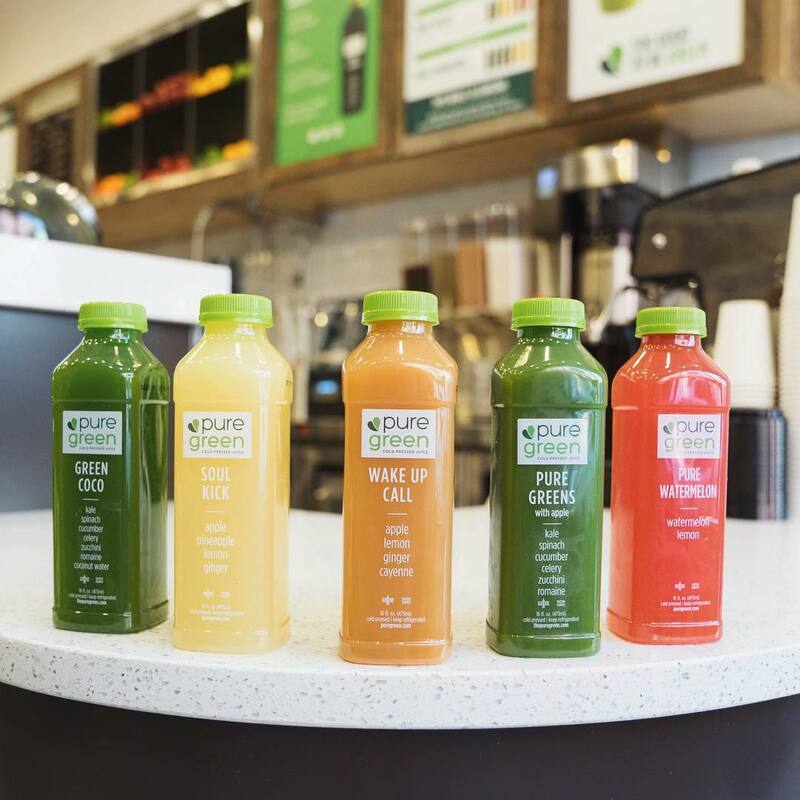 Their six cafes are known for items like cashew mac-and-cheese and air-baked french fries (both of which are amazing), but don’t overlook their juice menu or daily smoothies while you’re there. Their cold-pressed juices and shooters are made in small batches and have book-inspired names like the Cuckoo’s Nest and On the Road. Plus, everything on the animal-free menu is served in eco-friendly packaging. Fitt Tip: also in their plant-based umbrella is Sweets by CHLOE. on Bleecker St.; order yourself a consciously-crafted Chlostess Cupcake and call it a day. 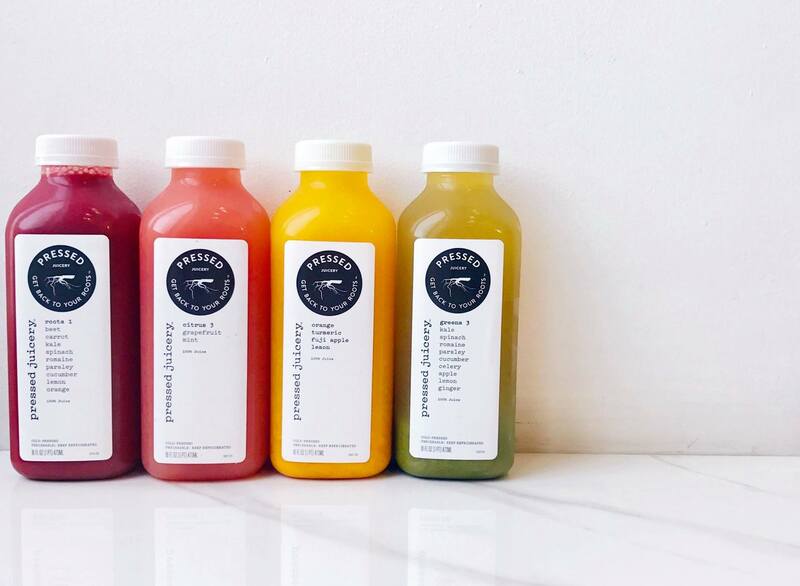 Not to be confused with Pressed Juicery, Juice Press is ideal if you need something filling and fast, and they’ve got locations in pretty much every neighborhood (over 60 total). While you can have your juice or smoothie made in front of you, the stores also have a wall of pre-packaged bottles ready to go. Yes, there are so many good flavors to try, but Greens + Earth and Fountain of Youth are stand-outs. Fitt Tip: The Strawberry Shake straight-up tastes like a McDonald’s shake (but healthier, obviously). Just saying. 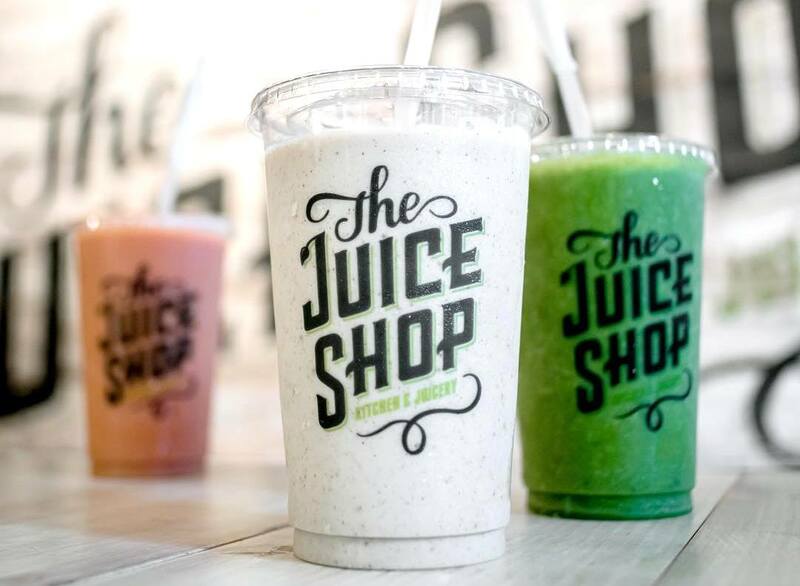 Think of The Juice Shop as the everyman’s juice destination — there’s no better way to put it. It’s got all the classic combos you know are good for you, like agave, lemon, and cayenne, and greens with celery and cucumber. The juices are super simple but taste good, and if you want to cleanse, these ones are easy starters. They’ve also got bottled cold brew with almond milk and dates for when you need just a little more substance in your morning joe. Find ’em at Penn Station and in downtown Brooklyn. 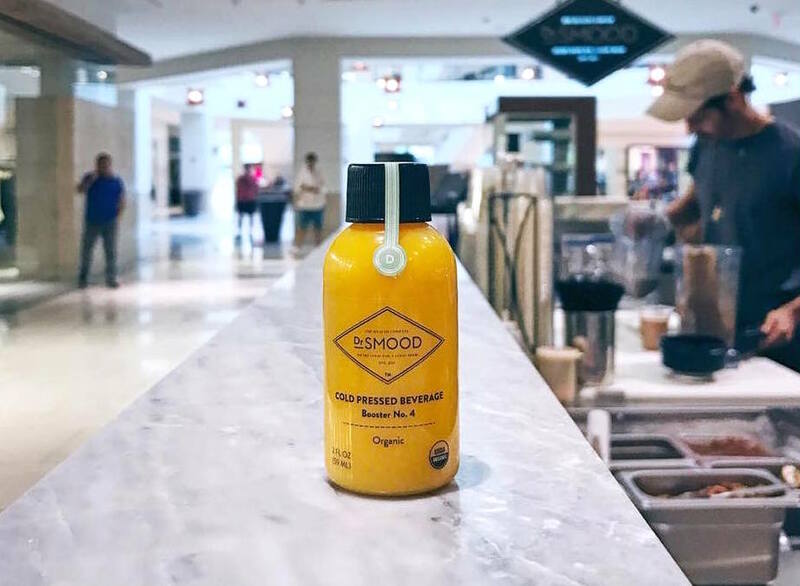 Dr Smood’s motto is “smart food for a good mood,” and their friendly employees and comfortable cafes definitely set the tone. Most locations (now numbered at five) have a good amount of seating, free Wi-Fi, and charging stations for your phones/laptops. 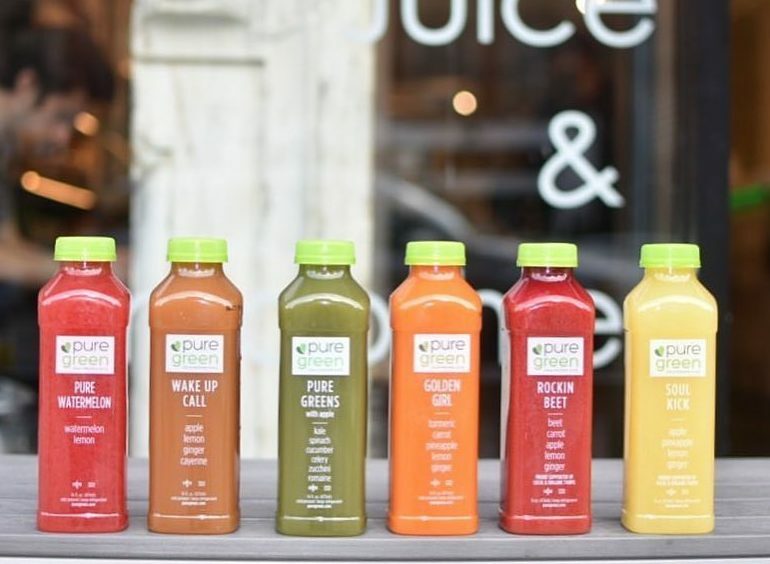 Classically, you can get green juice, fruit juice, detox juices, or mini boosters. But the Blueberry Majik is super interesting. It’s got coconut milk, wild blueberry, lucuma, sprouted buckwheat, and date. You don’t see that everywhere. After an extra-sweaty workout at trendy Midtown studio NEO U, kick back with a snack in the picturesque, modern, and light-filled Neo Cafe. Slurp down a Beets by Neo (with beets and ginger), Midtown Melancholy (featuring kale, spinach, and turmeric), or go for the game-changing Espresso smoothie, made with cocoa, banana, espresso, and almond milk. 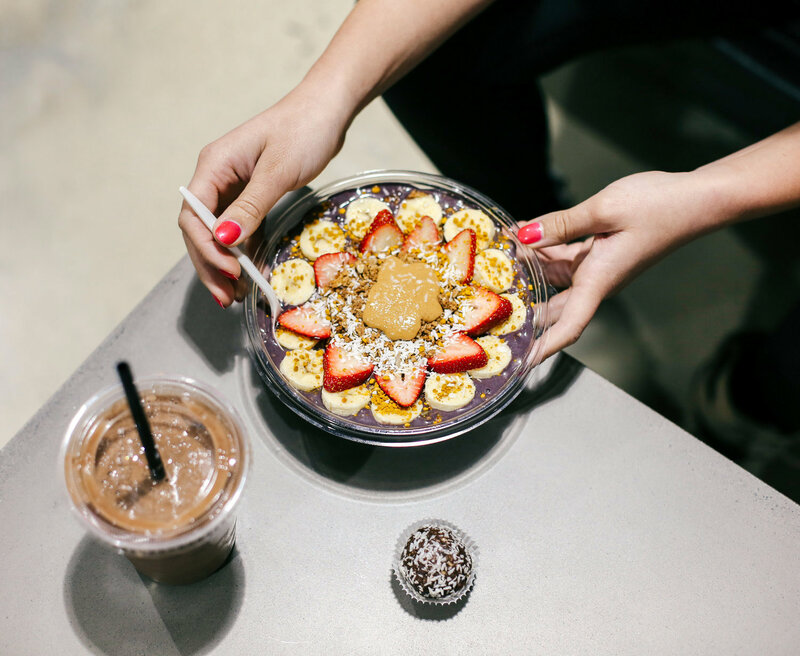 The full coffee menu (including a Bulletproof-like blend) and acai bowls certainly aren’t a bad look either. Queer Eye fans likely already have this one bookmarked. 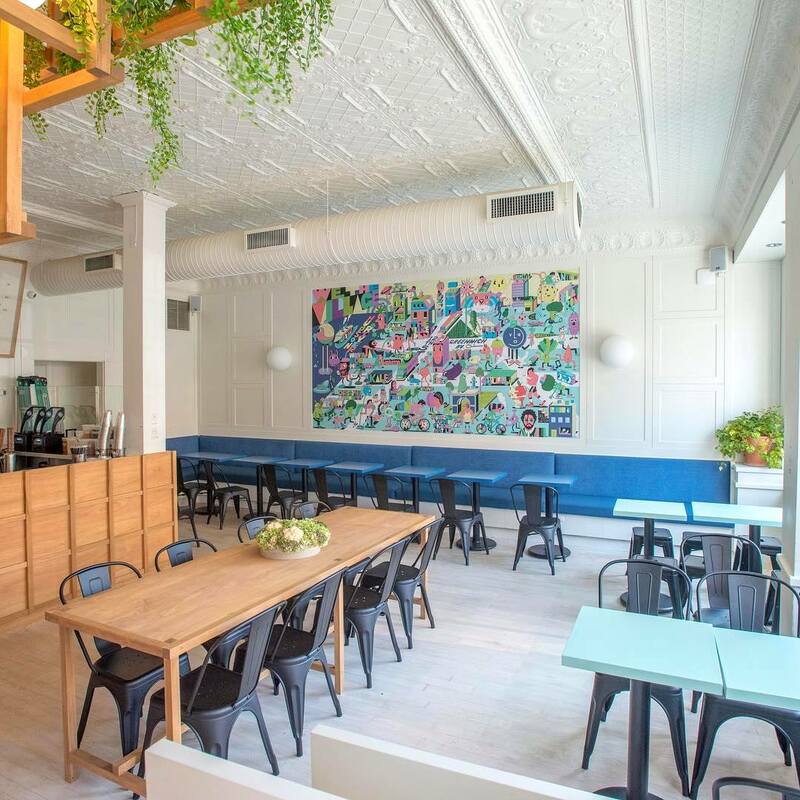 But whether you’re obsessed with the Fab Five or not, Antoni’s West Village den is a new mainstay for healthy eating. 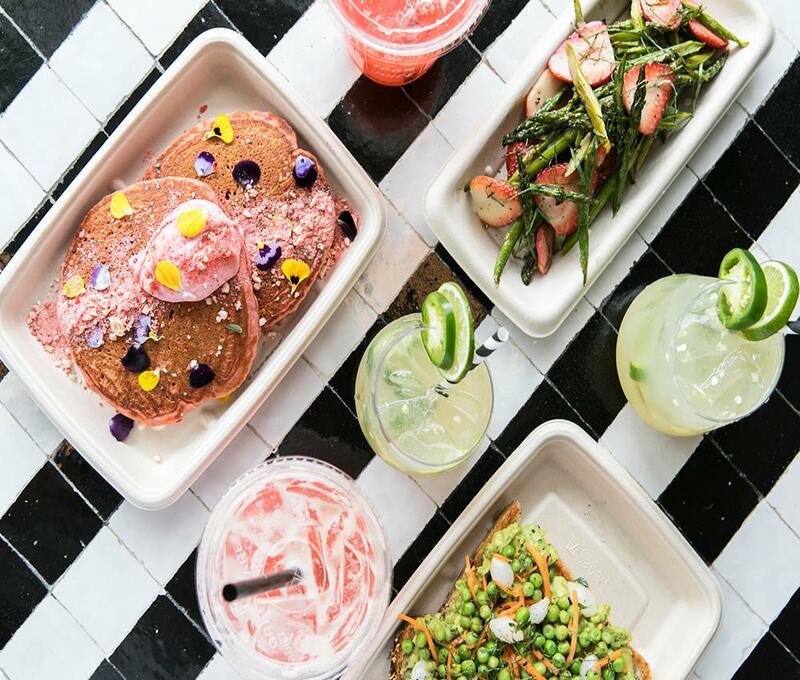 Beyond its health bowls and comfort food “TV dinners”, the restaurant’s smoothie line-up is on point. Think ingredients like cacao nibs, dates, and spirulina rounding out almond milk-based smoothies, along with tons of fresh fruit and vegetables. If you’re following a certain diet, you’re in luck: they’ve got vegan and keto protein powder, too.